Yay! The plan for now is to weave in the million ends there are (hate this), wash and block it, and decide what’s next. I am thinking if I need to make it a bit longer and how. 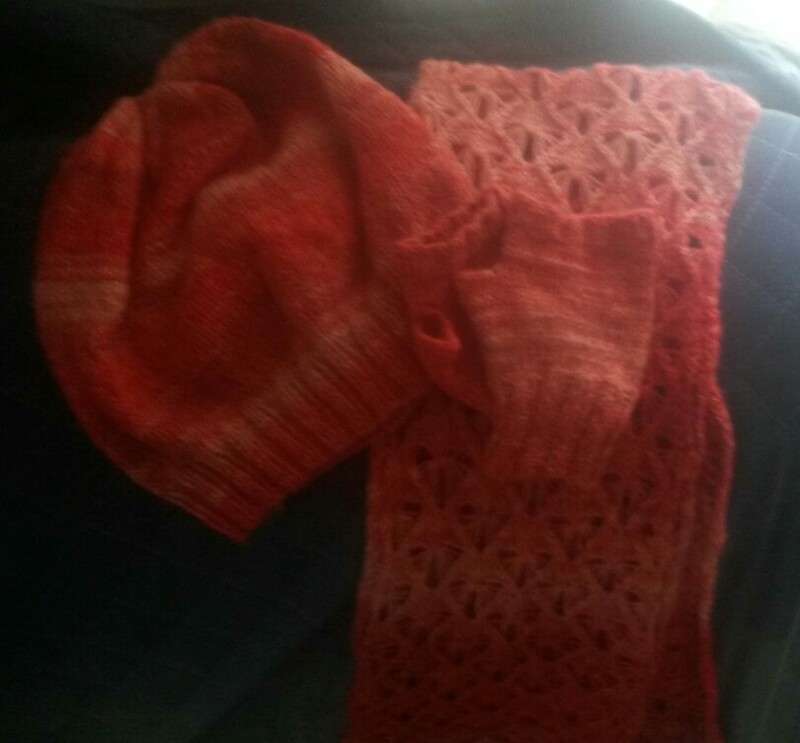 I also feel I need to finish the neckline in some way, but not sure how. Any ideas? 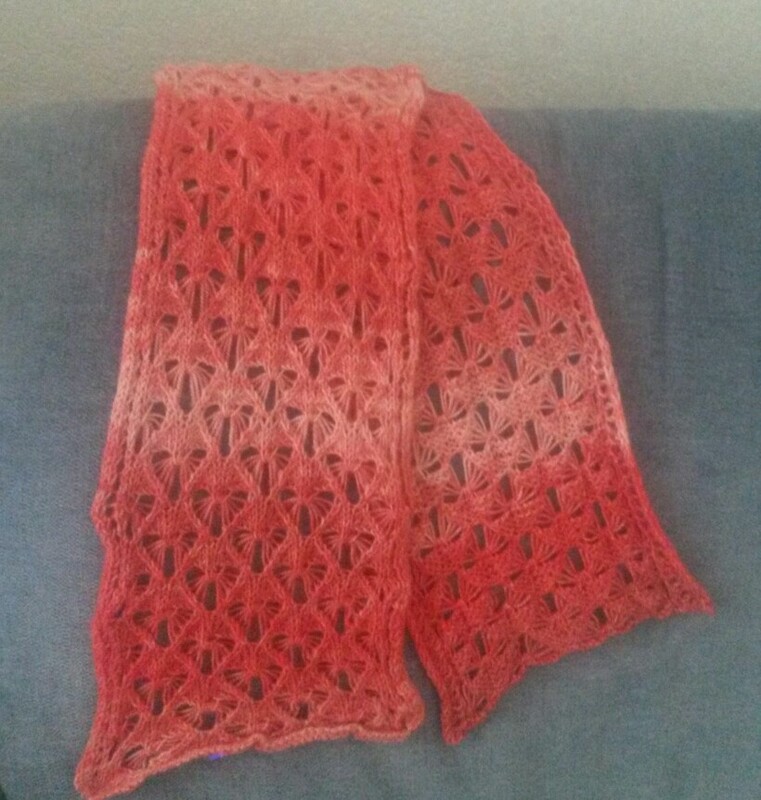 I also have finished the scarf for my daughter – I meant it to be a cowl, but I run out of yarn to make it comfortable double loop. So the set is now finished. 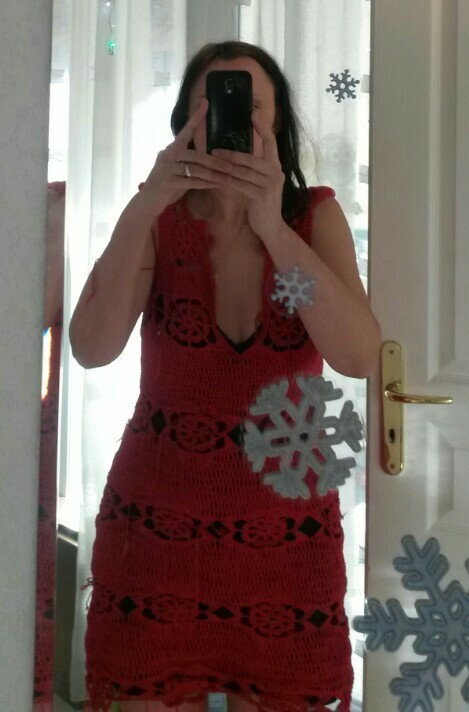 Separator image Posted in My kniting & crochet and tagged with lace scarf, Red Dress, YOP. Thank you! I will be looking through some books, and on-line to see various edgings for some inspiration. Thank you! I’ll be looking at edgings in some books and on-line for some inspiration, too.